Locked keys in trunk. Do I need a locksmith? Yes. United Locksmith staffs the best locksmiths available, and they all have the ability to open your locked trunk. There is no need to worry when you call us. You will be back in your car in no time at all. No matter the lock or where your car keys are, we can make sure that you are back on the road before you know it. When you need “locked keys in trunk”servicing, there is no better company to call. How long does it take a locksmith to remove locked keys in trunk? A standard car lockout will take around 5 minutes for our locksmiths to solve. During this time, our technicians will diagnose the issue, and find out the fastest and safest method of entry. They will then give you the price for the service. Once this is agreed upon, it is time to start the actual work. Most often this will be a simple fix for any car locksmith, but there are some instances where the situation can become more complex. No matter the issue, our locksmith can solve the lockout without harming your car unnecessarily. If there are locked keys in trunk, then we have what it takes to get them out. Locked keys in trunk and it is deadlocked. Can a locksmith open it? 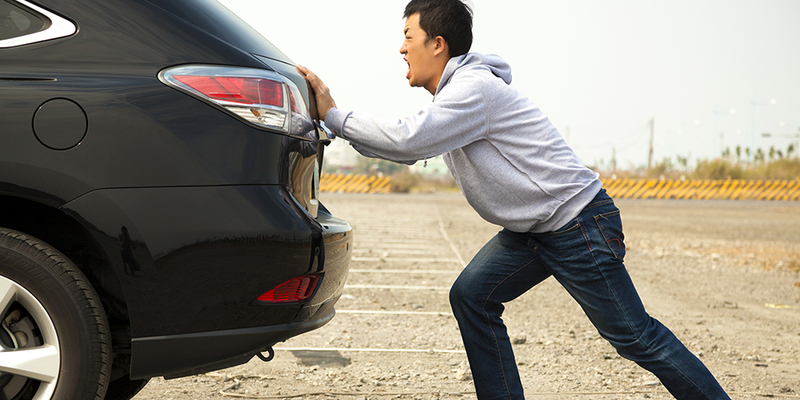 When keys are locked in the trunk of a car deadlock is one of the most troubling scenarios. This means that your car will not open without the proper key because the car doors will not open from the inside or outside. This prevents any successful manual manipulation of the interior door locks. Still, though, this is not an issue for our expert locksmiths. There are several remedies for this issue. The exact method chosen will be left up to the experience of the locksmith. Another factor will be the type of deadlock that is being dealt with. There are a variety of deadlock systems that come standard with some cars, as well as unique and custom systems that can be installed. No matter the case, our expert locksmiths can get them open. Can I still open car with locked keys in trunk? Yes. A car can always be opened, even when the keys are in the trunk. Depending on the security of your vehicle, the time it takes to open the car may lesser or greater. The better your security, the longer it will take our locksmiths to open the trunk. In most cases the interior locks of the car will still function, so it is just a matter of opening a door and then opening the trunk. In more extreme cases, further steps are needed. But no matter what it takes, you can trust United Locksmith to do it right, fast, and for a fair price. Is locked keys in trunk worse than locked keys in car? This question does not have a straightforward answer. It depends on the exact type of car, the standard security features, and what type of security has been added. Most often, unlocking the trunk of a car will take the same amount of effort as unlocking the car itself. Once the car is unlocked, the trunk will be opened from the driver side of the vehicle. If this device is broken, does not exist, or will not work because of a deadlock feature, then further steps will need to be taken. The biggest difference between a trunk lockout and a standard car lockout is the likelihood of complications. However, none of that matters, because your locksmith will be able to get the trunk of the car open no matter what issues may arise. How do I know if I locked my keys in the trunk? Most of the time there is no way to definitively know that your keys are in the trunk. The most reliable way to find out is to retrace your steps. If you were able to drive your car to the location, then you did have your keys. When was the last time that you used them? When was the last time that you were accessing your trunk? Changes of clothes can often lead to these types of predicaments. Taking off a jacket and putting it in the trunk only to later realize that you had your car keys in the pocket. Sitting at the edge of your trunk while talking to friends may have led to the keys falling out of your pockets and into the trunk. Many people will also put their keys down in the trunk as the load up the car with groceries, sporting equipment, donation items, etc. If you have just opened your car, and you no longer have your keys, then they may be in your trunk. Look through the windows of the car to confirm that they are not somewhere else in the vehicle. Take a look at the ground around the car, and if you have a hatchback you will also be able to see into the trunk from the outside. How do I get locked keys in trunk out? It is possible to get your keys out of your trunk on your own, but always be aware of the option to enlist the assistance of a professional. In order to successfully get your car keys out of the trunk, find a tool that you feel comfortable using to open the car door. If you are unfamiliar with automotive entry tools, this is a good sign that it is time to call a professional. Once the car is open, the trunk can be unlocked by using the interior locks. If that does not work, for whatever reason, a locksmith can be used to troubleshoot the issue. Never shy away from doing a job that you can accomplish yourself, but never damage your property in hopes of saving a few dollars and a bit of time. This way of thinking is sure to cost you more of both. When your car keys are locked in your trunk, it can seem like there is no hope. But that is not the truth. Help and hope are both just a phone call away. Once you let United Locksmith know that you are in need of assistance, a technician will be there to open your trunk before you know it. Our company prides itself on our fast arrival time. We also have an open line of communication between our locksmiths and our customers. Technicians will be in contact with you to let your know about their estimated time of arrival. No one is kept in the dark, so you do not need to worry. In the blink of an eye, the locksmith will be there. Then they can begin to assess what is happening with your vehicle. From there they will determine the remedy, and inform you of the cost. Once you agree, servicing can begin. The service will be delivered with the same rate of efficiency as our arrival times. We understand that in these types of emergency situations you cannot afford to wait around forever. The answer to the dilemma of the time crunch is experienced, professionals. This allows them to not only work fast but to also work well. Most companies will ask if you want a job done fast, or if you want it done right? We like to think that these are not mutually exclusive. If there is training and first-hand experience behind the actions, a job done right can be done fast. That is why when you call United Locksmith we send you a high-quality locksmith with the talent and the know-how to do the job right. Your car will not be harmed unnecessarily. Painstaking attention to detail will be taken in order to assure that your property is not harmed. “Painstaking” may seem like a word that denotes a leisurely pace, but we can assure that it doesn’t. United Locksmith gives you what you need, fast and worry free. No matter the brand of car, the year of its manufacturing, or the aftermarket accessories that are on it, our fast locksmith will be able to open the trunk. Cars are always changing with the times. What works for one model of car will not always work for another. In fact, the trick that works for a particular car-manufacturing brand will only work for so long. As the years press forward, car security changes, even within a company. For that reason, there are no hard and fast rules with opening locked trunks. It all depends on the manufacturer, model, and year on the car. From there, difficulty may arise from nonstandard modifications to the vehicle. All of this will make the job less straightforward, but that is just the way a locksmith likes it. Every trunk lock a locksmith sees may be different. Sometimes trunk locks are very similar to car door locks. Often they can be opened with the same key. In almost all cases, the key required to open exterior locks on the car will not require a transponder chip, even if the ignition cylinder does. Some cars may have an interior trunk release button in addition to a keyway. Other trunks may have no keyhole at all, and require a smart key, fob, etc. Other times you might find that your trunk won’t open because the trunk lock is broken or stuck. Whatever your car may need to open, a locksmith can deliver. 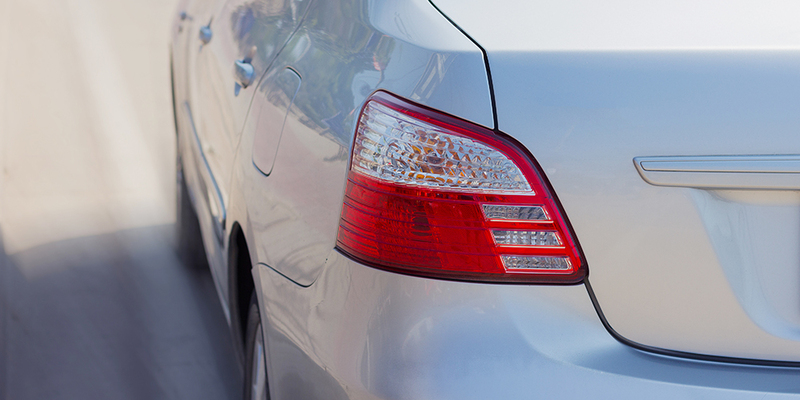 Mistakes like locking your car keys in the trunk of the vehicle can happen for many reasons. The most common case is that it was an accident. Very few people mean for their keys to get locked in the trunk. There are instances where someone does this as a prank or out of spite, but those are rare. Often it is as simple as, “I just put my keys down for a minute, and then I closed the trunk without thinking”. Yes, even though these are accidents, most of the time people are putting their keys in the trunk on their own volition. The same type of stress that would make a person put their keys down in the trunk of the car is often the same stressor that leads to them closing the trunk prematurely. If you would like to prevent this type of thing from happening altogether, or from happening again, it just takes some calm thought. The best advice is to never rush when you are in a hurry. Take a few extra seconds and save yourself the hassle of a lockout. A similar rule to follow is to never lay your keys down inside your vehicle. Keep keys on your person as often as possible. A set of keys locked in the trunk of your car is only made worse by a deadlock feature. There are various types of deadlocks, but they all center around the same basic concept. Deadlock refers to a feature that disconnects your interior door locks from the actual locking mechanisms. That is to say, if you were to push the buttons, or pull up on the post locks in your car, the doors would not open. The disconnect keeps any physical manipulation of the locks, other than the key, from opening the car. This feature may turn on whenever the keys are removed from the ignition, or it may take some manipulation of the fob/key. Once the deadlock is engaged, opening the car becomes very difficult. But have no fear, because our locksmiths have seen it all before. This situation will keep your locksmith from using the simplest solutions for opening the trunk, but that is not to say that they will not be able to open it. Door locks and even trunk locks (if they exist) can be picked. This requires some skill and it is not always an option. The security of the lock may make the device close to unpickable, or there may not be enough time for this type of method because it can take a while. There are some cases where the back license plate of the car can be removed and a small hole can be drilled. This will not be used to grab the keys, but rather manipulate the emergency trunk release lever. This is the most extreme circumstance and is very rare. Rest assured that in the unlikely instance your car needs this method, the hole will be covered by your license plate and will appear as though nothing happened.